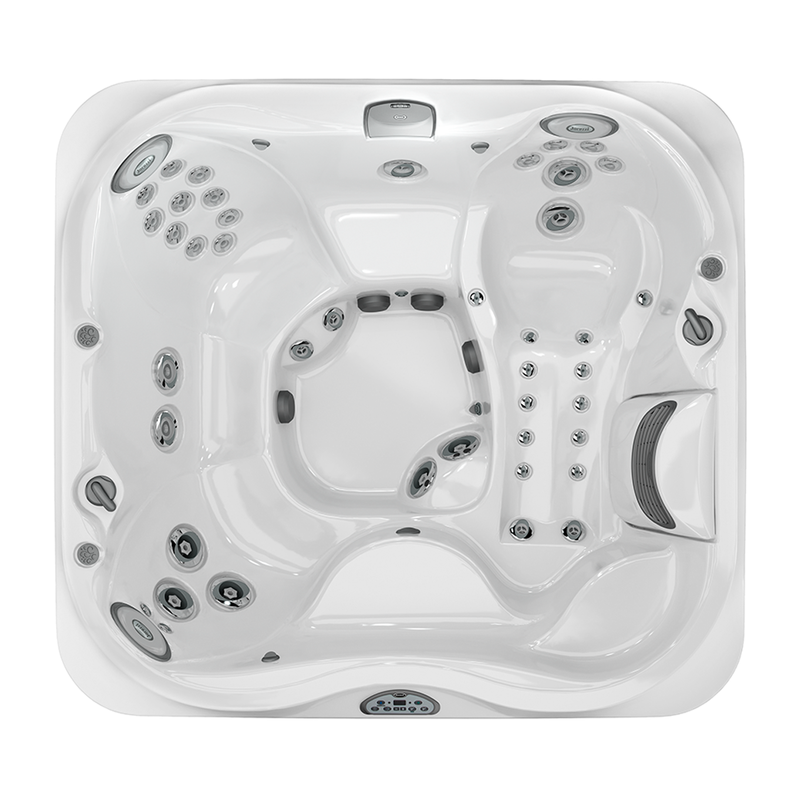 The Jacuzzi® J-355IP™ Hot Tub offers spacious lounge seating and room for up to six adults. The energy efficient model comes with a pre-installed ProClear® Ozone injector that optimizes water filtration and minimizes the necessity of adding chemicals to the water. 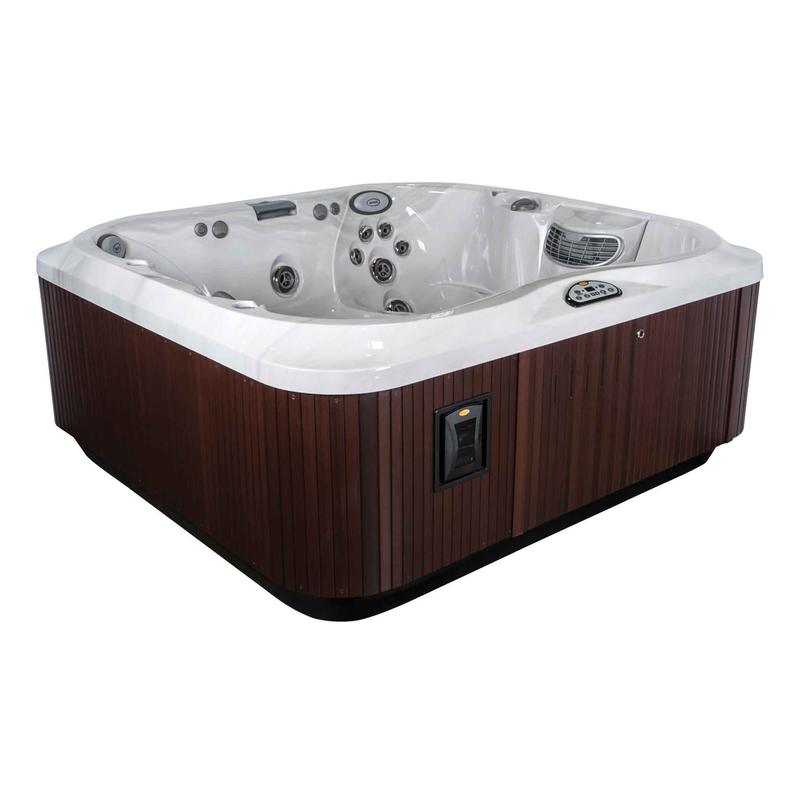 When the optional CD ozone generator is installed, the J-355IP™ is one of our most energy efficient portable hot tubs available. Maintenance is virtuously effortless and filtration stays off your mind. This roomy spa delivers a deep-tissue, full-body massage with superior PowerPro® Jets, including the ProAir™ Lounge seat, the FX-10™ Therapy Seat and 14 FX Jets. The all-new BX “bubbler” jets that produce a relaxing bubble massage. Set the ambiance with the waterfall and LED ProLites in the footwell, pillows, and illuminated cup holders to set the visual ambience whether enjoying a solo soak or inviting friends to join you.